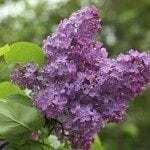 I have a small California lilac shrub. I noticed small green worms on it lately. What can I use to get rid of them?